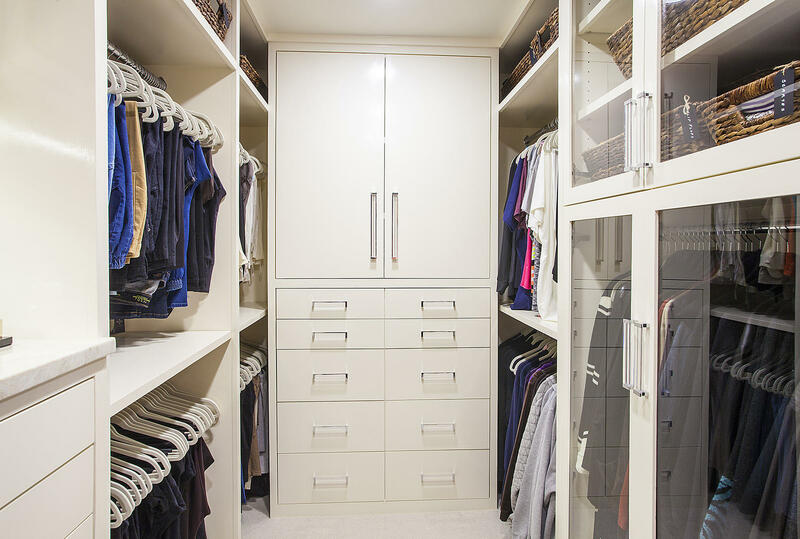 This master closet design in Fort Worth is all about making the most of a more limited space. 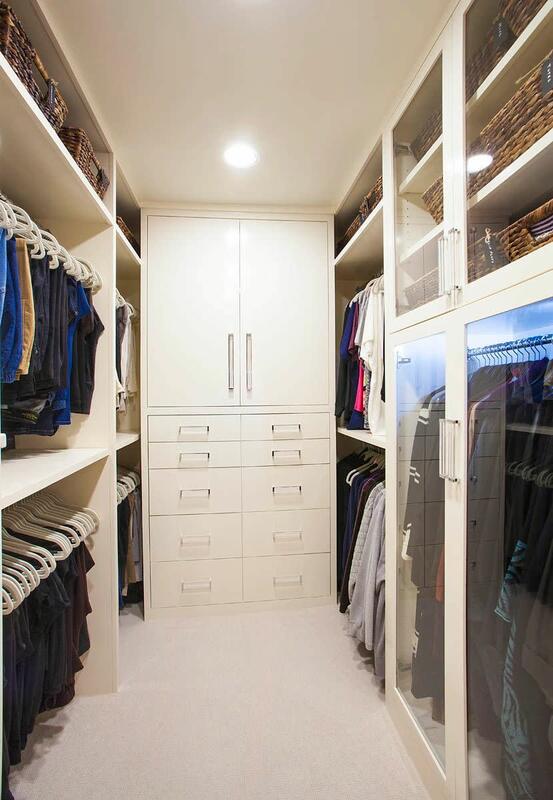 Flat front inset cabinets and a high gloss enamel white paint finish turn this narrow closet into a real luxury space. 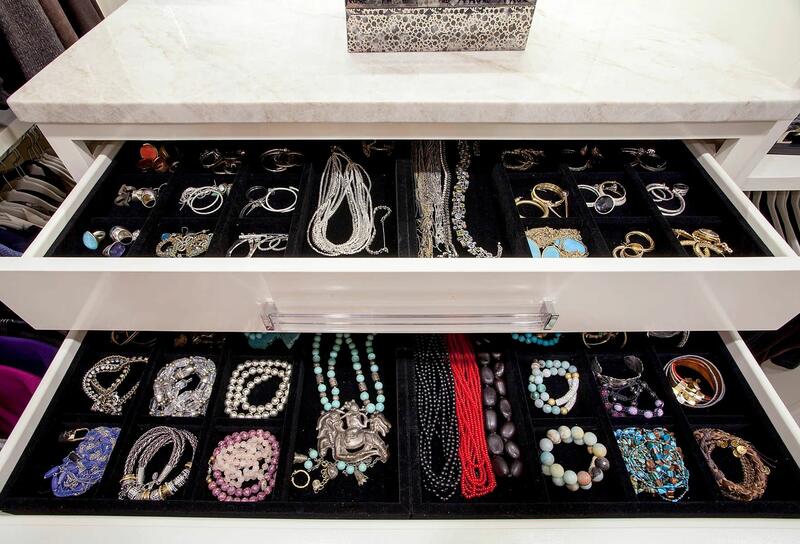 We used acrylic hardware pulls and a granite countertop to accent the dressers. 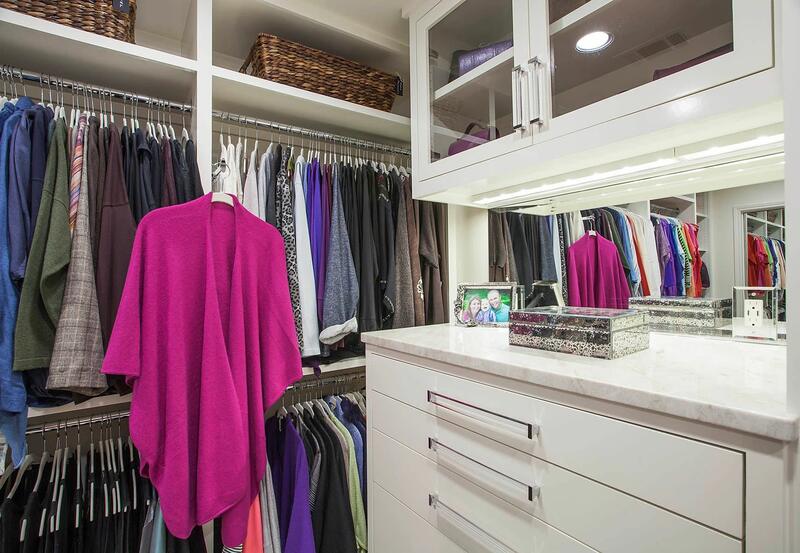 Glass-front doors help to enlarge the feel of this walk-in closet. 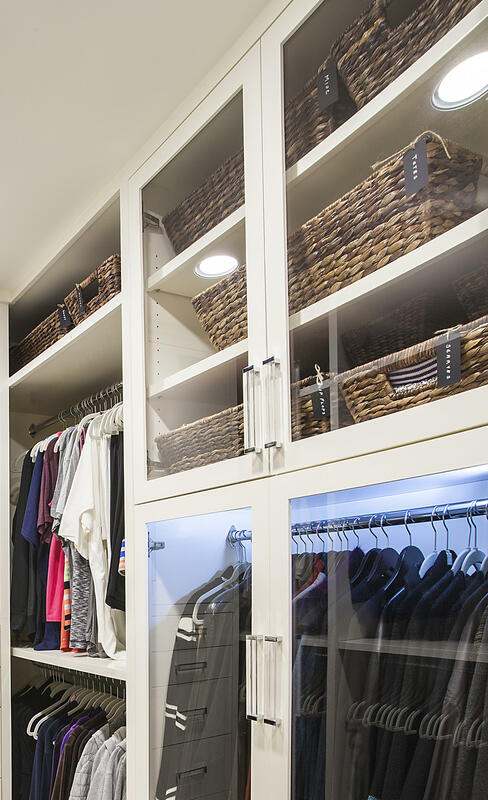 We maximized every inch for hanging clothes, purses and shoes. Two beautiful dressers added additional storage. 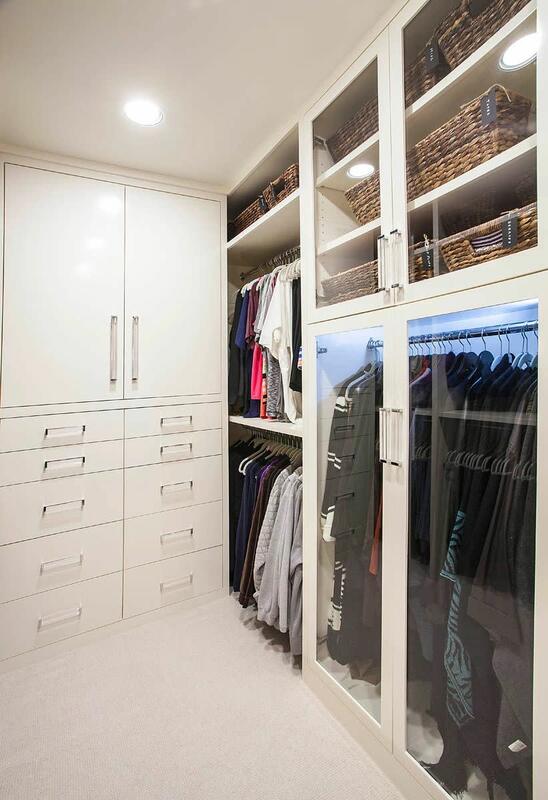 Kathleen is not only excellent at her craft, she also makes my job as contractor easier for me and my customers.